Coming up on the 10th anniversary of this Blog I am re-posting my 1st ever article. I have corrected the spellings, I was blind to many mistakes back then! Rip-Off Ireland has become a common catch phrase in recent times. There is now a completely new type of Rip-Off going on which is based on the new Government Grant Scheme set up to promote domestic renewable source heating systems. There are generous government grants for Solar, Geo-Thermal, and Bio-mass wood pellet heating systems. Full details are available at www.sei.ie. This is an excellent site with lots of information. There are grant application forms etc., and the site gives details of approved units and approved installers. What the site does not detail are some of the major price rip-offs going on in the business. For instance; the cost to install a pellet central heating boiler and commission it, price not including materials, the time amounts to about a half days work, was quoted by one recommended installer at €1000 inclusive of VAT. Materials for plumbing and flue etc. are extra. Now that's price gouging at its worst, and it is just plain sickening!! I have a great dislike of gougers, I consider it nothing less than thievery. Government "Greener Homes" Grant has spawned green eyed monsters! 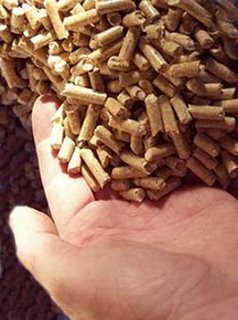 Some of the more common makes of wood pellet central heating units being sold in Ireland are the Opop and Dor Boilers with either Boink or Scotte burner mechanisms fitted. The Boilers are made in the Czech Republic and I will have the retail prices posted here soon. But be assured that the Irish price is perhaps 50 - 100% more expensive. I will also publish some retail prices for the burner units from the mainland European Continent. Again you can be sure the Irish price is 50% to 100% more expensive. The single biggest rip-off is in the installation and commissioning prices being charged. Like €1000 one thousand Euro being asked for a single boiler installation. I kid you not! €1000 for installing ONE boiler. The installation and commissioning time amounts to roughly a half days work this information by the admission of two separate installers. The seller-installers tend to charge a bit less for installation - but then they have the sale profit don't they?